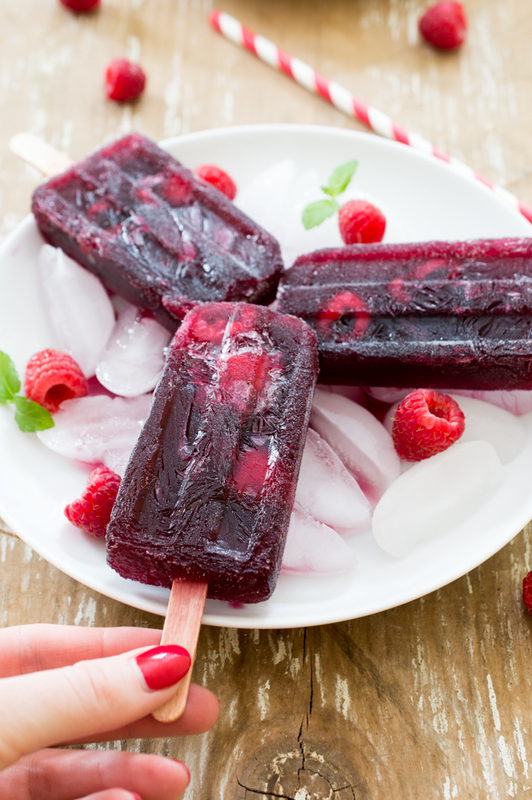 4 Ingredient Raspberry Sangria Popsicles. So easy to make and super refreshing. Perfect for a hot summer day! I love sangria and I love popsicles. Why not combine the two? 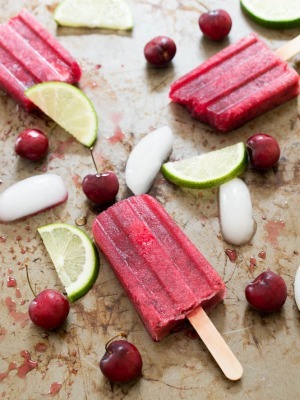 These popsicles are fruity, refreshing and extremely easy to make. You can use any of your favorite fruit juices. I always prefer pomegranate juice in my Red Sangria. It always seems to complement the red wine. Orange juice, pineapple juice or cherry juice would also work too. 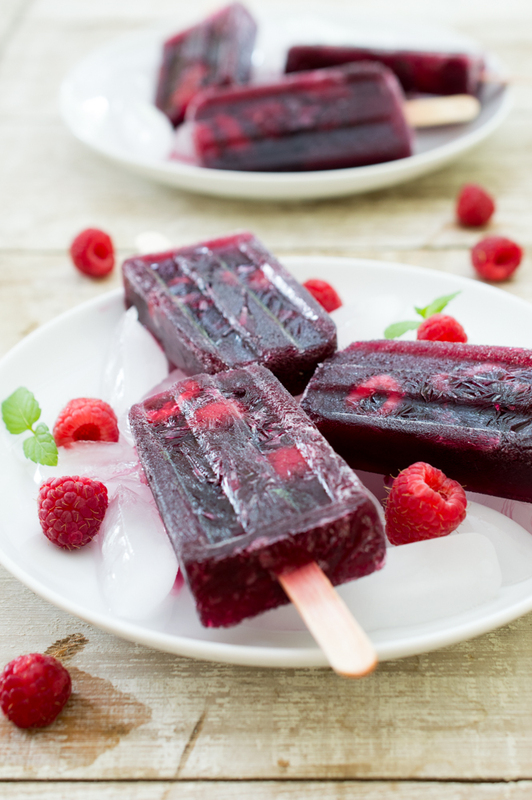 These grown up popsicles are fruity, not to sweet and loaded with fruit just like my Red Wine Sangria. Instead of making a simple syrup I decided to heat just the wine and the sugar together to allow the sugar to dissolve. I like to use a red table wine that is not too sweet and not too dry. You can always taste the sangria prior to putting it into the molds to adjust to taste. 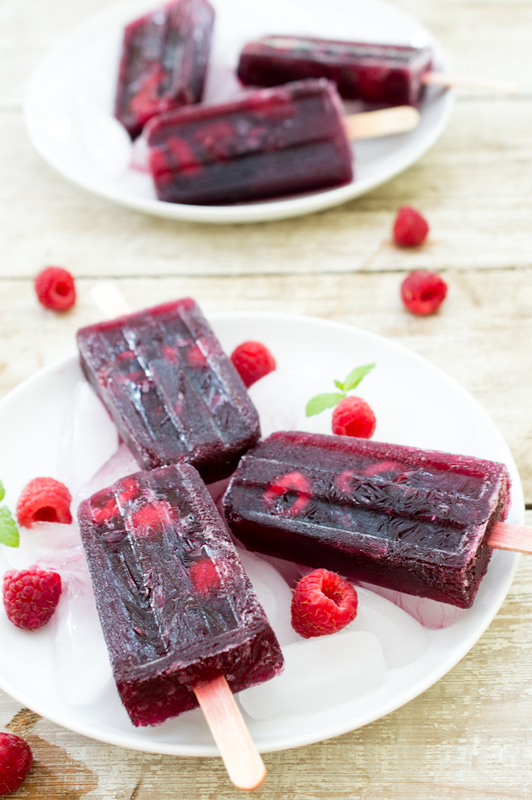 To make these popsicles simply simmer the red wine and sugar until the sugar dissolves. Cool and set aside. 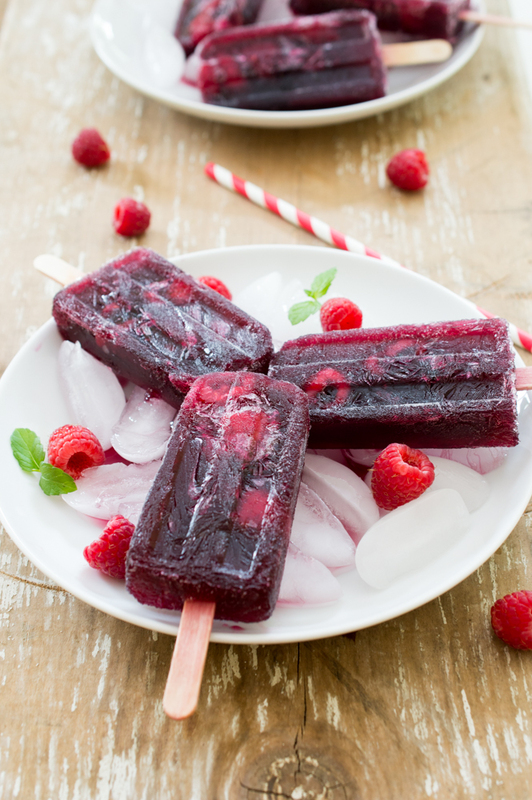 Divide the rasperries into the popsicle mold and top with the sangria and freeze. That’s it! Serve these at your next gathering or outdoor barbecue. They will be a hit! Combine red wine and sugar in a small saucepan. Cook on low until sugar dissolves. Take off of the heat and cool. Stir in pomegranate juice and set aside. Divide the raspberries evenly into the popsicle molds. Pour sangria on top of the fruit into the molds. 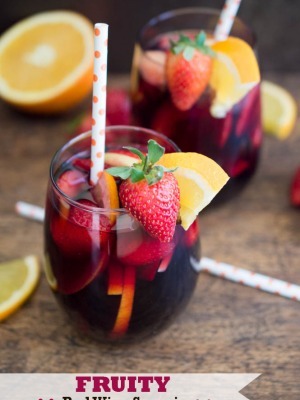 I love this idea, what a great way to get that Sangria fix! These are perfect for summer, and I love the color! Pops made with sangria?! Where have these been since I was 21! Bring on all of these for summer. These are everything that I didn’t know I needed in a summer treat Kelley, what a fabulous idea! Pinned! I might totally need to make these for my mom! As mother’s day is coming up and it’s bound to be upwards of 80 degrees, she’d love these 🙂 Obsessed with the raspberries and the rich color. Pinned! I can have my wine with my popsicle?? My life just got so much better! I officially predict that alcohol-infused popsicles are going to be the new jello shot this summer. And these shall be the poster child. LOVE. Sangria popsicles?! That’s a brilliant idea – totally making those this summer! How perfect would this be on a summer day. I love the colour too. Oh boy, these look amazing! Lounging by the pool with 1 (or maybe 4) of these sounds heavenly! You invented a wine popsicle? Where have you been all my life! These look fantastic! These popsicles are so much fun! I love the pretty color! They’re perfect for summer! I love sangria and I can only imagine how much more I would love it in popsicle form. So perfect for summer! When do you add the pomegranate juice? With the red wine + sugar, or after? Hi Liz, So sorry I forgot to mention this step in my recipe. Add to the cooled wine + sugar mixture. Thanks! I made these last week – my hubby and I enjoyed them immensely. So glad to hear you enjoyed them Liz! Thank you!